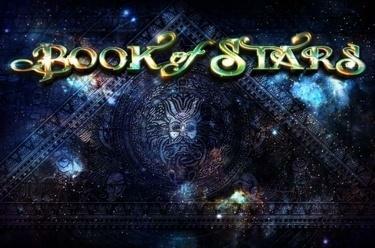 Play Book of Stars online for free now! Book of Stars will lead you in the never-ending world of the stars. Discover together with our adventurous researcher the sun god Helios, the goddess of the night, the wise owl and of course the Book of Stars, which will not just introduce you to the secrets of the starry sky but also shining winnings! Your aim is to land 5 matching symbols along an active win line. All winning combinations start on the left and run along the reels to the right. To win you have to land several identical symbols from the first reel side by side on a line without interruption. 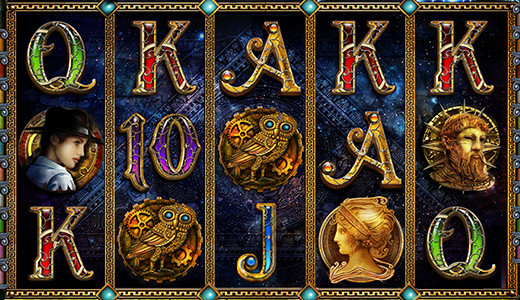 The Book of Stars is the game joker and will show you the way to glittering treasures in the starry sky: Land 3 or more 'Book' symbols anywhere on the reels to trigger 10 Free Spins with an extra bonus symbol. All Free Games will be played with the settings of your last game round. A bonus symbol is randomly chosen when you enter your first free spin. As soon as the bonus symbol appears enough times to trigger a win, it will expand out and cover all positions on the reel. Following this, all other reels will fade away, so that a continuous winning combination forms and you receive all line wins. The bonus symbol has the same value in the Free Spins as it does in the regular game.